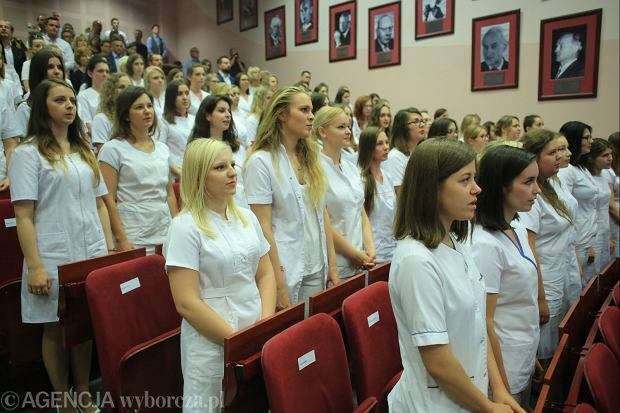 Polish nurses are appreciated in the world. They have excellent education and are dedicated to their work. 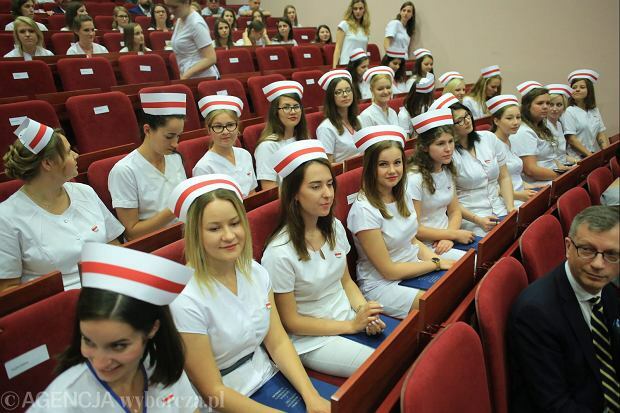 Newly appointed nurses receive their traditional caps during a solemn ceremony although they haven`t had to wear them since 1991. My mother went to nursing school and became a Registered Nurse in the early 1940's. She then joined the Navy when WWII started, and because she was a nurse, she was given the rank of Ensign. Then she met my father, an enlisted sailor, and when they got married just before he shipped out to Africa, she was booted out of the Navy because the Navy nurses weren't allowed to be married! (Plus as an officer she wasn't supposed to date an enlisted man, so she was a rebel on two counts! 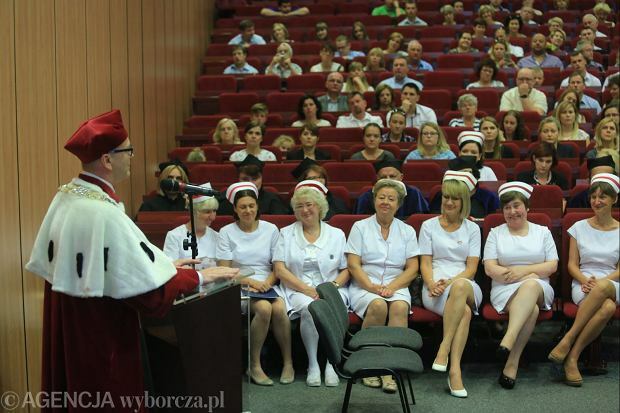 She was always proud of her "capping" ceremony as these Polish nurses are...though here they stopped wearing them in the 1960's I think. Fantastic story. But it is good your mum didn`t stay in the military too long because "army nurses have a habit of trying to run the place as if it were an army hospital and are "a little sick themselves." I wish she were still around to answer this comment, but I'm pretty sure she would point out that Army nurses and Navy nurses are two distinct entities, with Navy, of course, being impeccable and superior in all aspects!! I knew you would point to the traditional rivalry between the Navy and Army. But the quote is about army nurses and I couldn`t change it. They call them pinning ceremonies where I am. My sweet spouse is an RN/BSN. ..As far as any rivalries go, A Fleet Marine Force Corpsman is the superior healthcare provider in certain situations.